A very different perspective on intuition and precognition, Learning from the Future is an exercise that allows people to learn about what could happen in times to come by using a trance-like state. Hunt has been extremely intuitive all of her life, but while helping a client one day, she wondered if just like using past life regressions, you could “progress” a client in a light hypnotic state into their “future” to see what will happen. She began using the technique with more of her clients and has found it to be extremely effective. The nature of time is something that many of us do not often think about. Hunt discusses how physicists and others think of time. If there was one part of the book that kind of fried my brain, it would be this section. The bottom line is that for the purposes of this technique, time is not seen as a thing ever-flowing forward, but a series of possibilities that can overlap. 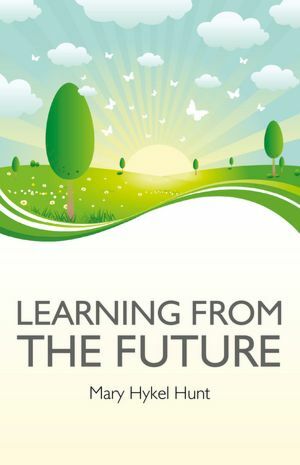 By using the technique in this book, a person can go forward into their progressed future and talk to their “future selves”, which will give them information about what has happened to them—in other words, what they have experienced to bring them to where they are now. If the client doesn’t like the future they see—as a tarot reader I like to think of it as “the message”—then the future self gives hints of which changes need to be made to access a more positive outcome. In many ways, this book opened my eyes, and the stories that Hunt includes about her clients are totally fascinating. And it seems like a plausible theory. People who read tarot cards, or use runes or crystal balls, to tell the future do something very similar. But using this technique doesn’t require a reader of any kind or any materials; the book describes how a client can do this work by himself or herself. One other interesting facet of this technique is how Hunt deals with the idea that the future self that the client sees might just be his or her fantasies. Once the client is in the technique, s/he will interview the other self and ask it whatever questions are desired. They are to be open-ended questions so the other self can elaborate as necessary. If the client is concerned that s/he is only seeing what s/he wants to see, then the client can ask the future self “Are you real?” If the self answers, then the information is accurate, but if the image disappears then the client will know that they were in the realm of fantasy. Hunt recommends that while any time period can be used for looking into the future, she has noted that three to five years seems like the optimal duration for each experience. She also encourages clients to do the exercise periodically so the client can receive the most up-to-date messages. Learning from the Future may change the way you understand intuition and precognition, and if you’re interested in giving it a try I highly recommend this book. This would be especially useful to those people who say they are not intuitive or cannot do any divinatory work. This new approach may show you how wrong you are.